Environmental policy is a key component of enabling conservation and restoration of the natural environment. It can identify and channel public sector resources as well as the much larger private sector ones through regulation. Natural resource management deals with managing human interactions with the natural environment such as forests, wetlands, pastures, water bodies, minerals, flora, and fauna. It recognizes that people and their livelihoods rely on responsible stewardship of these resources. To ensure proper and sustainable management of these resources, management brings together many tools such as land-use planning, water management, biodiversity conservation, and the sustainable deployment of industries like agriculture, mining, tourism, fisheries and forestry. Built environment refers to human-made surroundings such as cities, industries, and buildings. It also refers to physical infrastructure–such as roads, bridges, aqueducts, electrical transmission lines, and so on–that are not necessarily in cities. Environmental conservation and restoration requires understanding of the impact such built environment on the natural environment. Relevant topics include solid waste (municipal, industrial, and hazardous), wastewater, energy, transportation, green zones, and more. Information technology and the natural environment. The natural environment and its systems are highly complex. To understand them students and researchers have to rely on information technology such as GIS mapping, remote sensing, satellite tracking, and computer modeling and simulation. All of these technological solutions are coming together in a field sometimes referred to as computational ecology. AUA Acopian Center for the Environment, formerly known as the Environmental Conservation and Research Center (ECRC), was founded in 1992 by Mr. Sarkis Acopian as a center overseeing research and academic programs. From the very beginning, it was the center’s aim to protect Armenia’s biodiversity and natural resources through research, education and public involvement. In the autumn of 2008, the ECRC was renamed the AUA Acopian Center for the Environment (AUA ACE) in honor of the Center’s late benefactor, Mr. Sarkis Acopian. Sarkis Acopian was born in Tabriz, Iran on Dec 8, 1926 to Armenian parents who emigrated from Russia and Turkey and finally settled in Iran. Sarkis was raised as a Christian Armenian in Iran and in 1945 immigrated to the United States where he studied engineering at Lafayette College in Easton, PA. During his time at Lafayette, he was called to serve in the U.S. Army. While stationed at Lackland Air Force Base in the Army Air Training Command in San Antonio, TX, he met his future wife, Bobbye. After being honorably discharged and returning to Lafayette, he graduated in 1951, earning a Bachelor of Science degree in Mechanical Engineering. After graduation, he was employed by Weller Electric Corp., where he designed a power sander and a soldering gun that became two of their most popular products. Since his childhood, Sarkis dreamed of owning his own business. With just a small loan to start his own company and achieve his share of the American dream, he began by designing and manufacturing the first ever solar powered radio, a milestone of 1957 technology. This invention led Sarkis on the path to the power supply business which is still operating today as the Acopian Technical Company. Sarkis Acopian was more than just an outstanding entrepreneur. He loved outdoor adventure and throughout his life he was an avid pilot who flew his corporate aircraft between his company’s manufacturing facilities in Easton, PA and Melbourne, FL. He was also a scuba diver and a skydiving enthusiast who made more than 200 jumps during the pioneering days of the sport in the early 1960s. But where he really made his presence known was in his philanthropic work. Sarkis was a self-effacing man who passionately believed in supporting the community quietly but with unmatched generosity. He made numerous donations to local, national and international causes that have included the Acopian Engineering Center at Lafayette College, the Acopian Center for Ornithology at Muhlenberg College, the Acopian Center for Conservation Learning at Hawk Mountain Sanctuary, The Nature Conservancy’s Acopian Bog Turtle Preserve, the Embassy of the Republic of Armenia in Ottawa, Canada as well as endowing programs at the American University of Armenia, Lafayette College and the Florida Institute of Technology. Mr. Acopian’s passion for his faith led him to donate funding for the building of three churches: St. Sarkis Armenian Apostolic Church in Charlotte, North Carolina, built in memory of his beloved mother, Dr. Arax Acopian; St. Hagop Armenian Apostolic Church in Gyumri, Armenia, built in honor of his granddaughter Ani; and St. Mesrop Armenian Apostolic Church in Yerevan, Armenia. In the later years of his life, he assembled a team of ornithologists from around the world to work towards publishing a field guide on the birds of Armenia in hopes of introducing the newly independent former Soviet Republic to the idea of environmental conservation. A Field Guide to Birds of Armenia was published in 1997. The first accurate map of the newly independent Republic of Armenia was also published as a result of the Birds of Armenia Project. 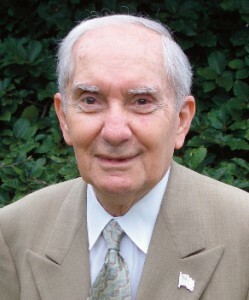 Acopian was awarded the Ellis Island Medal of Honor by the National Ethnic Coalition of Organizations, the St.Gregory the Illuminator Medal by the Armenian Church, and he received an honorary Doctor of Science degree from Muhlenberg College. As an immigrant to this country, Mr. Acopian was eternally grateful for the opportunities offered to him here. He showed his great sense of gratitude to his adopted country by being the largest individual donor to the World War II Memorial in Washington, DC. This generous contribution was unknown to the public until after Sarkis passed away in 2007. Pennsylvania Congressman Charles Dent, in a speech before the Unites States House of Representatives commemorating Sarkis’ life, recounted the story behind the WWII Memorial where in return for his contribution, Sarkis only asked for a seat at the dedication ceremony. Due to extremely limited seating at the dedication ceremony, he decided not to attend, giving up his seat so that another veteran could attend. Although he is no longer with us, Sarkis Acopian’s vision of promoting conservation awareness among the citizenry of Armenia and the Diaspora is being continued at the AUA Acopian Center for the Environment. The American University of Armenia (AUA) is an independent, private, non-profit institution of higher education in Armenia that began instructions on September 21, 1991, the same day Armenia declared its independence from the former Soviet Union. AUA provides teaching, research, and service programs that prepare students and enable faculty and researchers to address the needs of Armenia and the surrounding region for sustainable development, in a setting that values and develops academic excellence, free inquiry, integrity, scholarship, leadership, and service to society. AUAs academic programs provide graduate education and starting in Fall 2013 undergraduate education. Parallel to its academic programs, AUA has established the Engineering Research Center, Turpanjian Center for Policy Analysis, Acopian Center for the Environment, Center for Health Services Research and Development, Center for Research in Applied Linguistics, Center for Business Research and Development, and Legal Resource Center to promote research in conjunction with its teaching programs. As a public service to the communities across Armenia, AUA also provides a business development program through the Turpanjian Rural Development Program and courses and trainings through AUA Extension.